What is a standard vacuum oil purification system consist of? A vacuum oil purification system should have a powerful and standard vacuum system which will produce the vacuum condition for the whole system. And for different kind of oil, the vacuum system standard is different. For example, for normal industrial oil, one suitable model vacuum pump is ok to build the vacuum system, because the system will not need very high vacuum condition for the process. But for insulating transformer oil, it requires super high vacuum condition for working, so besides the basic vacuum pump, it requires another roots vacuum pump to help enlarge vacuum degree highly, which is like an air compressor, so that to suppler enough vacuum pressure for the oil purification work. Besides vacuum system, a standard vacuum oil purification system also contains the powerful filtering system, mostly it consists of multi-stage filer element, and for each filter element, it has an unique specific requirement, not the same one. And for each filter, there are plenty of choices, so a standard vacuum oil purification system will equip the suitable one according to customer’s oil features which needs the purification process. After oil filtering system, there will be independent power electrical control system, heating system, alarming system, balancing system, detecting system, flowing system, and standard structure & construction, logical pipeline connection etc for a standard vacuum oil purification system. 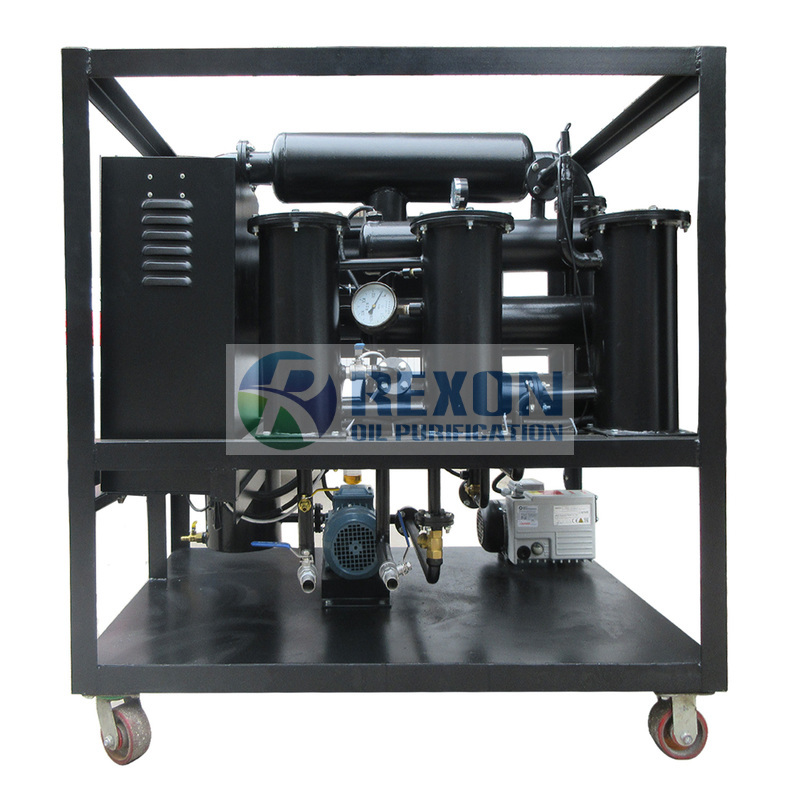 REXON Oil Purification group will always offer you the standard vacuum oil purification system for your different requirements and different oil. We welcome all over customers visit us and to cooperate with us to solve your oil problems easily.